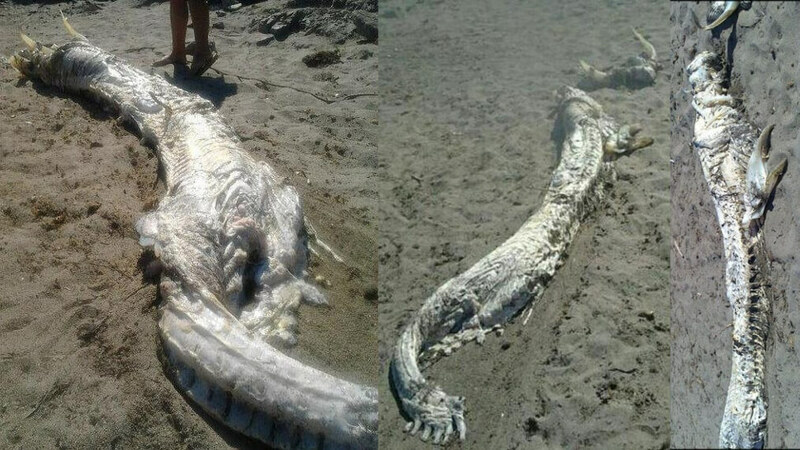 Home » What The Hell Is This Horned Sea Monster That Washed Ashore in Spain? The horned beast was first spotted last Thursday by a beachgoer in the Andalusian village of Villaricos. Photos of the “mutant fish,” which is said to be about four meters (13 feet) in length, soon surfaced online, and the local Civil Defense was called in to examine the remains. “We have no idea what it could be, but it smells bad,” Civil Defense rep María Sánchez told a local news site. Several theories have been put forth by experts, including the possibility that it is a type of shark, but the Association in Defense of Marine Fauna says further study is needed. The biologists have their work cut out for them: As the Civil Defense was forced to bury the creature for “health reasons,” the association only has photos snapped at the scene to go by.